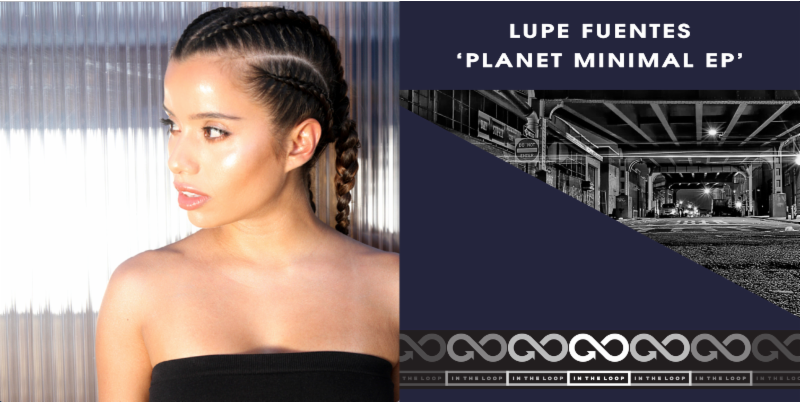 Hailed a ‘local firebrand’ by the LA WEEKLY, Los Angeles-based producer and DJ LUPE FUENTES is back with her new two-track EP Planet Minimal on her IN THE LOOP label today (February 1). With each new release, Lupe‘s IN THE LOOP label continues to develop itself as a key tastemaker in the house music scene. As the follow-up to Move It–her EP for Roger Sanchez’ label Undr the Radr released this past December–“Planet Minimal” and “Street Life” are two unique tracks influenced by the tech house sound. On the new tracks LUPE really flexes her smooth production skills. The tracks have many layers and are carried by deep powerful bass-lines and energetic groves. Born in Colombia and raised in Spain, it was Los Angeles, California that transformed Lupe Fuentes into a techno and house producer and DJ. With mentorship from legends like Roger Sanchez, Kerri Chandler and Todd Terry, Lupe has released approximately 100 records on labels like MadTech, Lost Records, Simma Black, Roush Label, Safe Music, Inhouse, Undr the Radr, Nervous & dozens more. Her original productions have been supported by some of the biggest names in the game including Dubfire, Nicole Moudaber, Richie Hawtin, Maya Jane Coles, Carl Craig, Riva Starr, Claptone, Claude Von Stroke, Shiba San, Tony Humphries, Maceo Plex, Marco Carola and Joseph Capriati to name a few. Many of Lupe’s productions have reached Traxsource and Beatport Top 10 charts including her 2017 collaboration with Italian DJ duo Alaia & Gallo “Lose My Mind” which reached Traxsource #1 overall. On the DJ front, Lupe’s eclectic sets have found her alongside artists like Paco Osuna, Joseph Capriati, Felix Da Housecat, Victor Calderone, Prok & Fitch, Detlef, Mat.Joe, Amine Edge and Dance, DJ Sneak, Junior Sanchez, Treasure Fingers, Jesse Rose, Oscar G, Roger Sanchez, Harry Romero and Jesse Perez. Her social media followers reach over 500,000 across her various platforms and she has been editorially supported by the likes of Mixmag, DJ Mag, Noisey, Data Transmission, Dancing Astronaut and more. Lupe Fuentes’ label IN THE LOOP has over 100 releases with artists from around the globe and dozens of top ten tech house records. She handles all aspects of A&R herself and her IN THE LOOP radio show has been going strong for two years and is syndicated in 40 countries around the world. Look for IN THE LOOP Events coming soon to a dancefloor in your town. This entry was posted in LUPE FUENTES, Press Releases. Bookmark the permalink.